Boston, have you been yet?? Located across from the Boston Public Garden and next to the Four Seasons Hotel, this establishment peeks out unassumingly onto Boylston St. and invites passers-by and regulars alike onto its open-air patio, bar, and upstairs dining room. Boasting southern French cuisine, this bistro has both a bar menu as well as a full menu and also has a lively dessert spread. We stopped in twice in the span of a week recently and had to try the house made sorbet and gelato, which come in a variety of unique flavors, such as pear, apricot, basil, and buttermilk and are perfect for a evening on the patio while sipping espresso or catching up with friends in the mid-afternoon. Very tasty, thinly sliced potatoes with herbs and cream. Not unlike what I’ve tasted in the south of France myself. The blue cheese and hazelnuts were excellent in combination with the greens and endive. Very enjoyable flavors and smooth texture – highly recommend. Creamy tart filling, mild flavor, nice sweet crisp in the tuile. Crunchy nuts to keep the basil ice cream cool and add texture. 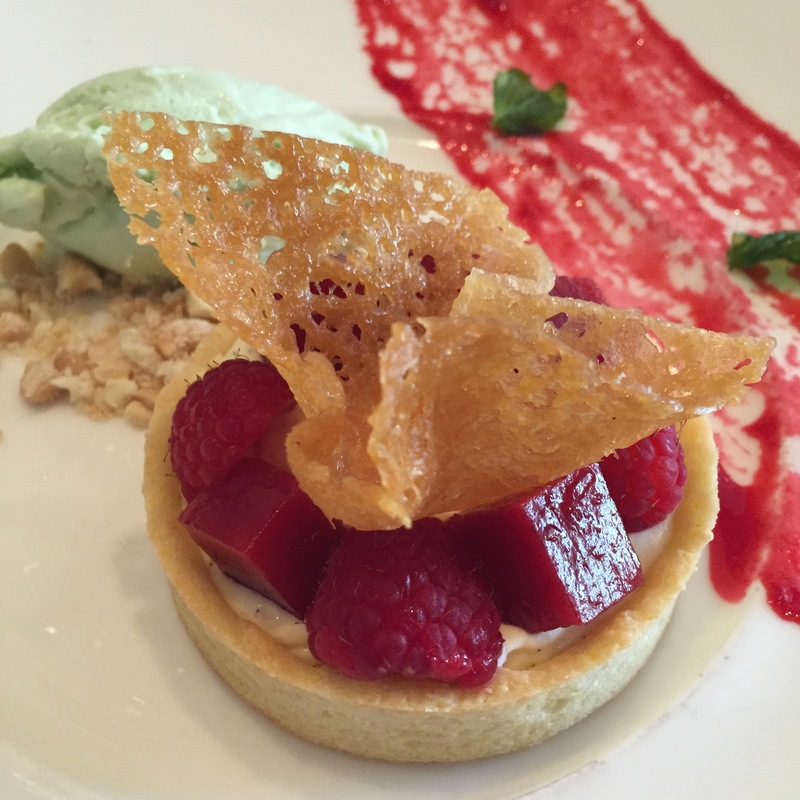 Tags: bistro du midi, Boston, dessert, eating out Boston, ice cream, restaurant review, reviews, sorbet. Bookmark the permalink.